There used to be a time when getting into digital medium format meant you had to put a mortgage on your house and your family. This time seems far gone now that a full kit can be found for under $20,000. With the promotion Hasselblad is running, it looks like Christmas is early this year. Just like last year, Hasselblad dropped its prices by up to about 50%! 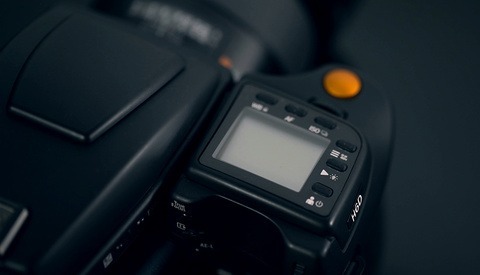 It means you can get an H5D body along with a 50 megapixel back for just under $15,000. While it probably remains out of the budget most of us have, even as professionals, it is a very affordable prices for this kind of gear. Amongst the couple of promotions, you will find the H5D-50 for $19,995 ($7,050 off), the H5D-60 with an 80mm f/2.8 lens for $24,595 ($7,805 off) or the same H5D-60 without a lens for $21,995 ($8,000 off). But the biggest promotion is on the H5D-50c, sold now for only $14,500 instead of $28,500. You'd still have to buy a lens to get a full kit, but that can be a very attractive offer! If you cannot find an agreement with either your financial advisor or spouse before the promotion is over, you still have the option of buying the more affordable H5D-40. 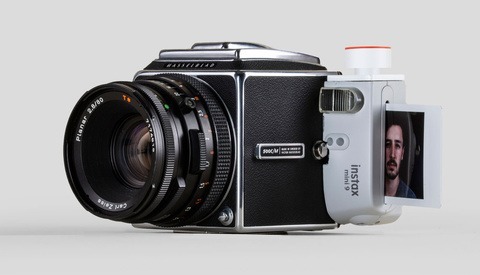 It's Hasselblad first price camera sold for only $10,995. One can only wonder why Hasselblad is doing these huge rebates. Perhaps the big megapixel full frame cameras are making the medium format market even smaller. Or maybe it is just a way to make people talk a bit more about them. Because it seems like Phase One is becoming more known and talked about than Hasselblad amongst the youngest generation of photographers. Those that haven't started with film probably don't have that love for Hasselblad. No matter what the reason is, I personally hope medium format camera will keep becoming more and more affordable in the next couple of years as I think they still have a place in a professional photographer's bag for some uses. What do you guys think? 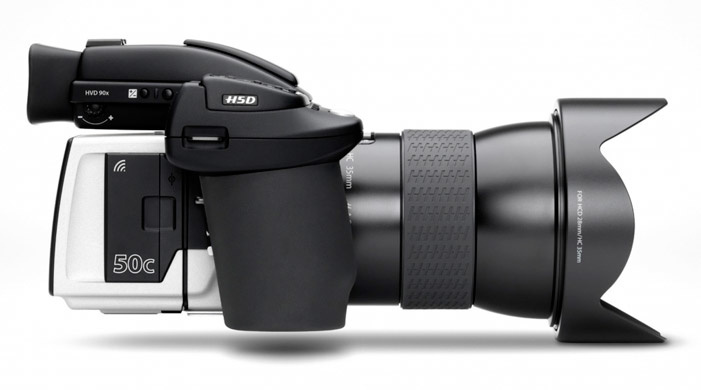 Is this a desperate move or very smart marketing move from Hasselblad? Any of you planning to make good use of this promotion? It seems like they're getting whacked by Phase One from above and Pentax from below. Phase One has far superior marketing and Pentax has a major cost advantage. There is also pressure from the BSI process, which makes the small pitch of 35mm format wells less of an issue. No longer does a larger pitch mean better IQ (given non-BSI in the larger format). Not sure I understand your question, but the point I was trying to make is that the quality of some of the new 35mm format sensors has approached (or exceeded) the quality of some of the MF ones. For example, the backside illumination (BSI) process has moved the wiring that takes the current from a photosite (well) from the surface to the rear, allowing higher densities while removing interference of the wires (light bouncing off them into the photosite) - resulting in a higher IQ from a smaller pitched well. Let's not even talk about the higher/way better ISO's from Dslr's. I have a much older P30+ which I would never even shoot over the standard 100 ISO otherwise completely useless. When I am in studio or have a ton of light I sometimes still use the P30+ But my 5DMIII can handle ANY situation that get's thrown at me. If Phaseone dropped their prices 50% I might jump on something but why? Only for the Leaf-shutter lens to be able to sync over 1/250th. Apples and oranges. Some medium format sensors are CCD and, as in your experience, don't perform well at high ISOs. But some, like the H5D-50c mentioned in the article, are CMOS and run just fine at high ISO. That's why I love the Little Sigma DP's. Very sharp lens with little defects, foveon sensor which gives a unique rendering and leaf shutters for upto 1/2000. Sure your using an aps-c sensor and f2.8 lens (f4 on the Dp0) so you have less DoF control over both 35mm and ofc MF but they are pretty unique and cost less than most good SLR lens alone. I toyed with the Idea of getting a 645d with 55mm lens (around £3k in the uk) but personally I liked the foveon images,leaf shutter and small size over the extra DoF control the 645d would have gave me. I would be so pissed if I paid an extra 14k for one of these cameras a month ago. I do not think Mario Testino is going to gripe over it. Not sure if any of those rebranded sony camera ever got sold… :P you can find these or their lenses for less than their Sony equivalent! There must be a really good reason behind it. My take is it doesn't sell at all. I think you are right. All the reviews are since the price drop a a couple months back. If one was shopping for an A99, this one looks to be the better deal. I like your perspective Lee. lol. MFD cameras are nice and has its appeal but with the fast evolving tech from major DSLR manufacturers MFD cameras do seem to obsolete at a rather fast pace. And the price drop reflected that. MFD needs to improve their focus and responsiveness to compete with DSLR from operational point of view while employing higher MP sensors which btw also perform well in high ISO. 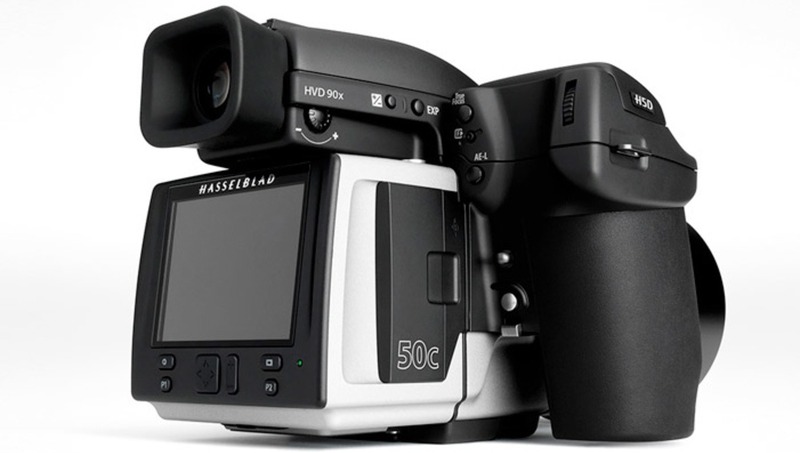 "Hasselblad Massive Price Drop Makes Medium Format Cameras MORE Affordable" would be a much more appropriate headline. I would really liked to understand what's behind such move. 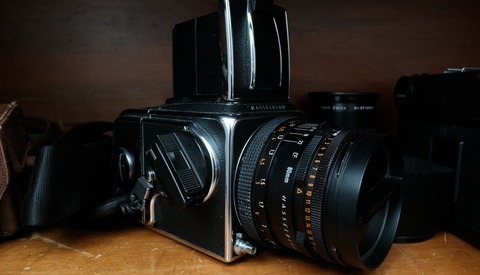 Even I am Hasselblad user for years, I am thinking to switch to Phase One system. As Lee said, I would be extremely pissed off in same situation. If you are an iso 100 shooter, the 40mp pentax cost as much as a 5dsr. That flash sync speed though… why did they make the x-sync 1/125s? :( Pentax MF cameras are awesome for those that do not require flash. I hope this will change soon. That's because they don't sport leaf shutter lenses. Even PhaseOne sync speed is 1/125 if you use the focal plane shutter. Bigger frame means that the curtains are harder to shove around, and thus slower. I was using my P30+ on an Mamiya RZproII all with leafshutter lens and it was nice to sync at high speeds but a PIA to focus and was slow to fire shot to shot even with the motor drive. I sold the body and PhaseOne plate for it. Then my AFDIII curtain broke and I am now trying to buy a used demo PhaseOne AF body just so I can use the P30+ on occasion when I have a ton of light and need to print Big. Where I live and work, my clients do not care if you have a 30,000$ back or lower end dslr, they pay the same fee so I prefer to make money rather than have all the bells and whistles to show. I spend my money on good lens and good flash, all profoto and that is it. I even still use a 18 year old profoto alfa 1200 pack from time to time. OK... here is my take on the massive discounts. I think there is major R&D going into the MFD Market. their version and totally DISRUPT that market and make it more affordable... hence the huge discounts. This next year is going to be an exciting year for us photographers! Grab some popcorn and watch the show! With high def sensors like the D810 or the 5Dm3 and the arrival of the premium lens like the sigma art collection with 1,4 apertures, and also with the high speed sync of the new flash technologies , all of this have radically changed my mind about medium format ! A few years ago I had the chance to try the H3D-30 and I was amazed by the quality and the difference with my D2Xs from then ! ( but only with a full light studio set-up ) ... but the bad point at this time whas the iso's issue from the ccd. Now they've jumped into the cmos, the isos are no more an issue, but the evolution of the dslr market as make such a HUGE jump into quality in so many fields ( sensors, lenses, flashs ... ) that the race is not in favour of the MF for the moment. So for me it's still a very nice object for those who want to spend this ridiculous amount of money ( and it will still cost an arm and a leg if you want to have a full set of lenses !! ) ... but I'm not sure it's still worth it for the moment ! Oh look, another photo blogger who never heard of the 645Z.